We recommend this class for ages 12 & up! 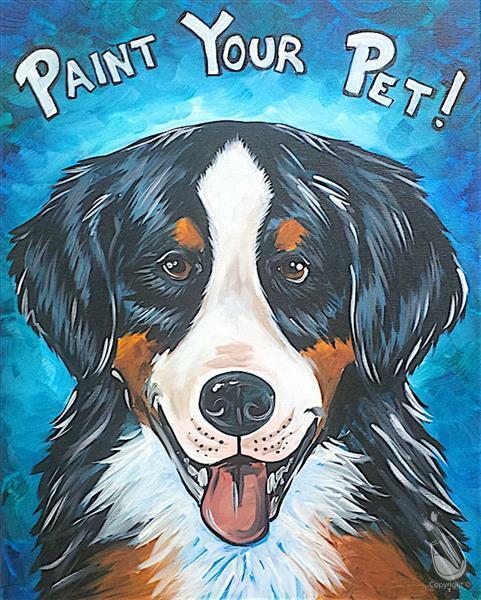 **Once you have made your reservation, email a color, high resolution or great quality photo of your pet to studio259@paintingwithatwist.com upon completion of registration. We will sketch your pet on canvas (one pet per canvas). The way your pet appears in the photo is how they will appear on canvas, so crop the photo to your liking and indicate preferred background color. *WHAT TO BRING: (BYOB) You may bring snacks & drinks to enjoy during class. Bottle openers, cups & napkins are available for your use. Your must be at least 21 years of age to consume alcohol in the studio. *SEATING REQUESTS: If you're coming with others, but making reservations separately, give us your group's name in the Special Request box. **PWAT reserves the right to cancel classes for unforeseen circumstances. 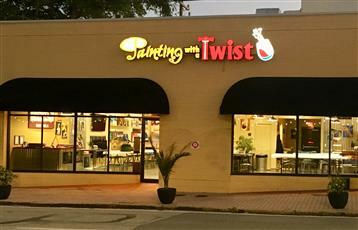 Guests will be notified and refunded.